Went down the coast and came back tuesday arvo (600ks). Unpacked the car and a few hours later decided to go into town. Few days later I pull the right rear wheel off to find that the brake line has been rubbing on the inside of the rim. 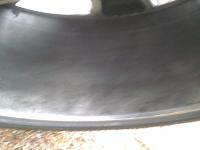 Its rubbed through the spring that surrounds the line and rubbed throught the rubber. 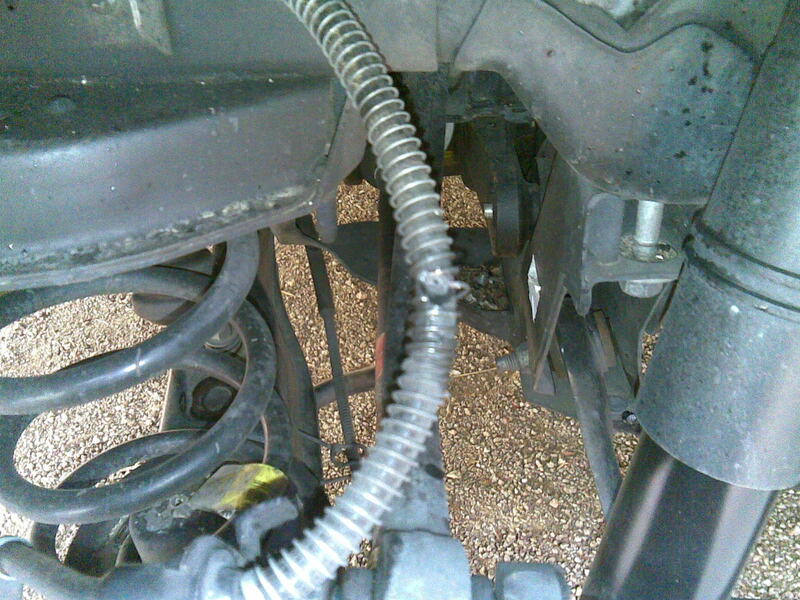 Now the brake line sits in a little bracket and due to where the bracket was currently located it happened. Now what I think has happened is when ive had the wheel alignemnt done rather than keeping the bracket in its original position they have let it turn when they have done up the bolt. Now the bracket in question should sit horizontal with the line been closest to the centre of the car. If the bracket is vertical then you got problems. Or find someone who knows how to tighten bolts properly! That could ave been disatrous Robbo. robbo, you wanna send some pics to me/anyone else to upload them?? This is a mechanical FU not a steering alighment problem..
Feck, I don't check that account too often, just found em, apologies robbo! Yes that is strange. The FG one I think is the same and it has a locking tab to hold it in place. The bolt had to be completely removed for it to move enough for it to hit the wheel. Another one to check is at the other end of the rear where they pop rivot it to the splash gaurd. Mine litterally pulled out. Ps locktite 243. Never leave home without it. I think I remember there was a factory recall on the rear brake lines for the BA / BF series, not sure if it was related. I remember getting mine replaced on the old car at some stage during a service. 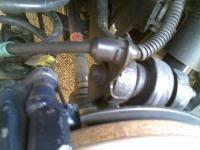 Yep there was a factory recall on the rear brake line got mine done the day after I bought mine. Dont know if this is the same prob but as ive said before all BA owners should get this recall done. Could easily save your life!! !